The DTAM065B Series offers up to 65 watts in a highly reliable AC/DC medical desktop power supply in a 4.17″ x 2.36″ x 1.22″ device. 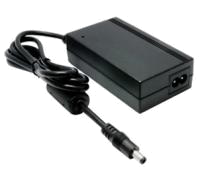 These supplies have a single output, input range of 90-264VAC, and AC Inlet IEC320-C8 . All models above 5V are Energy Star Level VI compliant and have high efficiency of 88%. Dimensions: 4.17" 2.36" x 1.22"